It’s Diwali and we have got something special for our iGadgetsworld Readers! 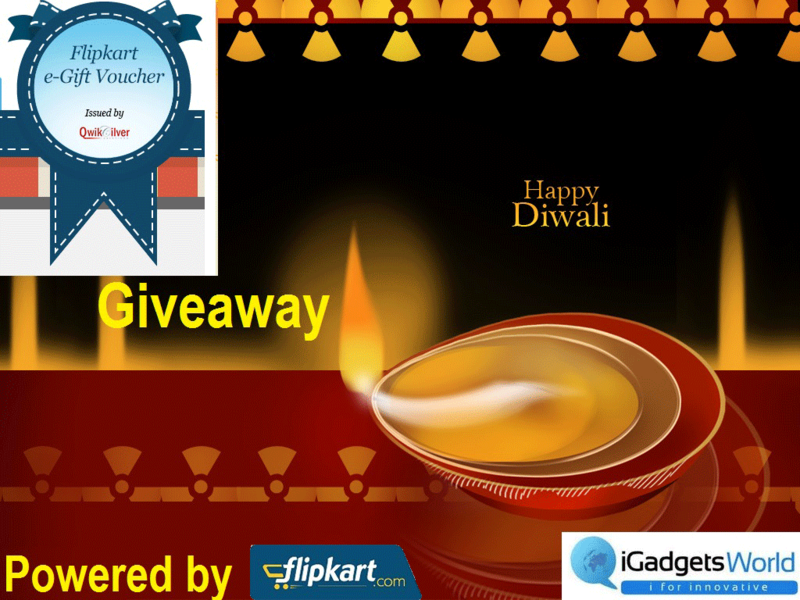 we have planned to giveaway Flipkart gift voucher, and yeah it’s a Diwali Special Giveaway ! This is Diwali time and probably one of the few times in year, when everyone shops like mad. So, we also thought of giving away a Flipkart gift voucher to make your Diwali shopping easier and you know, everyone feels good when he wins something for free. We have certain rules for this giveaway, which are mentioned below. You must submit your email id which belongs to you and valid. Winners will be notified via email and we don’t hold any responsibility in case you fail to redeem the gift voucher. Flipkart doesn’t hold any responsibility for failure of redemption of your voucher. This is a limited time giveaway and will be valid for just one day. The contest is over and the winner is Mayank Bhasin. Congrats, your gift voucher will be emailed to you shortly.